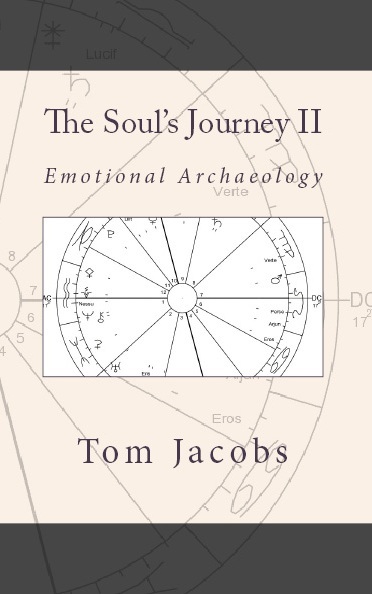 I’m proud to announce the availability of my new book, The Soul’s Journey II: Emotional Archaeology. This second volume in the series outlining the use of astrology as a tool to understand and learn to work with soul is a transcription of a 2-day intensive to teach and expand upon the principles presented in The Soul’s Journey I to a small group in an intimate setting. Emotional archaeology is my term for digging down into the strata of emotions a person carries from this life and other lives. We are defined by our choices, which are determined by our beliefs, and our histories of experiencing energy and emotion in this life and across time shape our beliefs. This in-depth material explains the nuts and bolts of changing karma – by changing beliefs – and reveals through 7 case studies the birth chart as a map of karma as well as the soul’s Divine intent. A section on Pluto Generations explains what different soul groups have in common when they incarnate close together in time. The empowerment journey of souls – including challenges, fears, passions, skills, and empowered gifts – with Pluto in Gemini (1882-1914) through Pluto in Capricorn (2008-2124) are described. This unique approach makes understanding astrological generations and their varied priorities, skills, handicaps, and critiques of each other easy to understand, bringing to the surface what we all feel about ourselves and others but don’t always know how to put words to. In addition to Pluto, the nodes of the Moon and the rest of the chart, a number of little-used archetypes are explained in detail, fleshing out how individuals experience them in everyday life. The myths and archetypes of Chiron, Persephone (399), the true Black Moon Lilith, Arjunsuri (20300), Lucifer (1930), Eris, Pallas Athene, Ceres, Juno, and Vesta are all explored in depth as I unfold the karmic stories in the charts of the 7 workshop participants, giving them the weight in chart analysis they deserve given the weight they have in our psyches and life experiences. If you’re curious about soul and how astrology can help you to understand it, this book and its predecessor are for you! 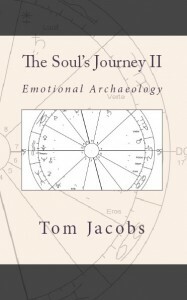 Tom Jacobs is an Evolutionary Astrologer, Medium, and Channel helping you understand what your soul is here to do and how to make it happen with grace, ease, and joy. Book your private consultation, get a Soul’s Journey Soundbite, and explore intuitive coaching and astrology tutoring by visiting tdjacobs.com.